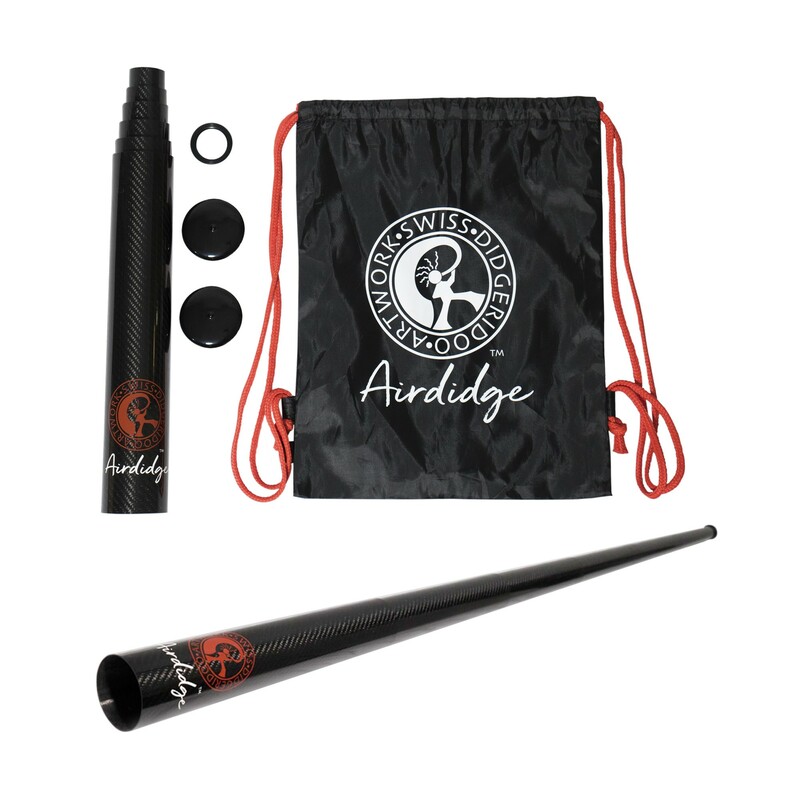 Lip stretching exercises are a huge first step for anyone having trouble buzzing their lips and getting a basic drone on didgeridoo. The stretches shown in this video are great to practice 5-10 minutes per day until you accustom your lips to buzzing in a very relaxed and loose way. Another key is to make sure you have enough pressure behind your lips right before you start to buzz. We recommend using a “P” sound to get the drone started strong and on cue. The third key is to make sure your lips make a good seal on the instrument. 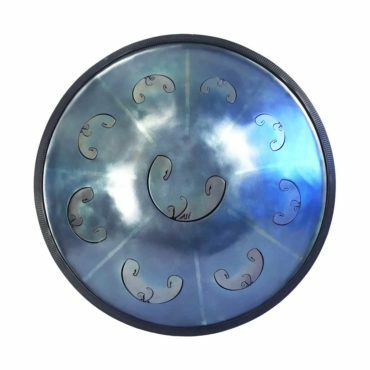 If any air is leaking out the side of your mouth while you play this will greatly detract from the quality of the sound. 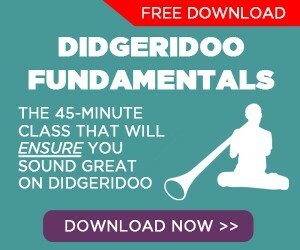 Question of the Day: What is the one thing you struggle with most on didgeridoo? 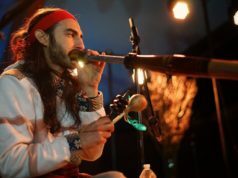 Post your response in the comments section below so we know what will help you most and which didgeridoo playing tips to share next. 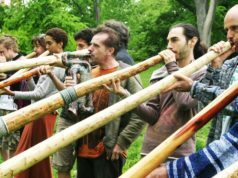 I just started, but I sincerely have no idea what sound my didgeridoo is SUPPOSED to make, since they all come in different keys (which I know nothing about). On rare occasions, for about a 1 – 2 second duration, I manage to create a very deep, bass sound, which I really like, but I can’t sustain it. I have a sneaking suspicion this may be the wrong sound though. Once I’ve got thought, perhaps I’ll be better able to progress with the other beginner exercises. I am having trouble sustaining my breath for more than 6 seconds when blowing into the didge. 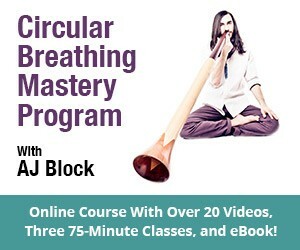 when i exhale – not playing – i can do 17 seconds. I don‘t play Didge (and it wouldn‘t do where I live because neighbors are so close) but I found could practice these tips with the neck of my tenor saxophone using the end opposite the sax mouthpiece as the mouthpiece for my „Didge“. 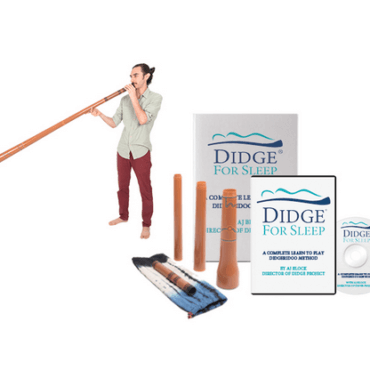 It simulates a Didge mouthpiece and can be very quiet – no problem for the neighbors. I struggle with getting the bright overtones that i can get while playing on the side of my mouth, on the front. I can get them whilst playing with the front of my mouth, but on the side they seem to project much more out of the drone. Any tips for a bright twangy overtone/harmonic?